Hi, I’m Marni with Haberdashery Fun. 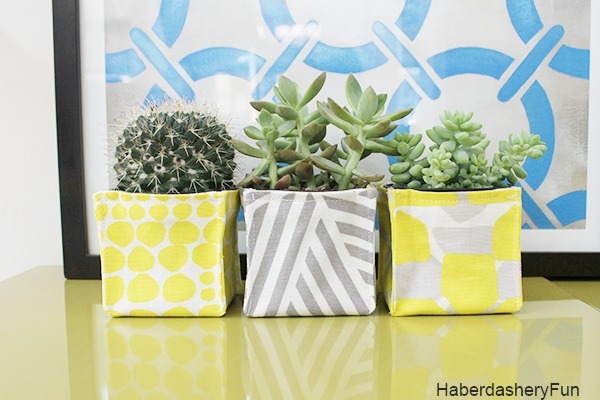 I’m happy to be here today sharing my mini fabric planter bins. 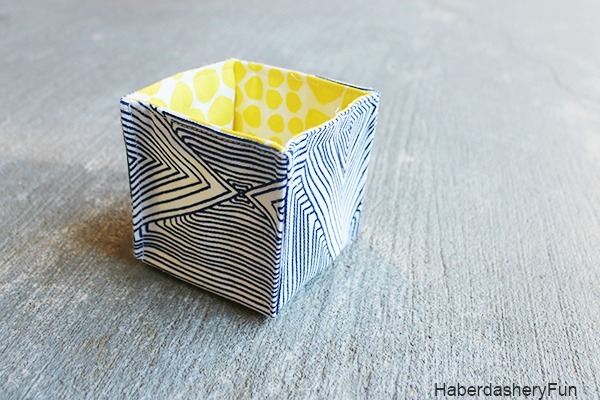 I’ve been wanting to make little fabric bins for quite some time. 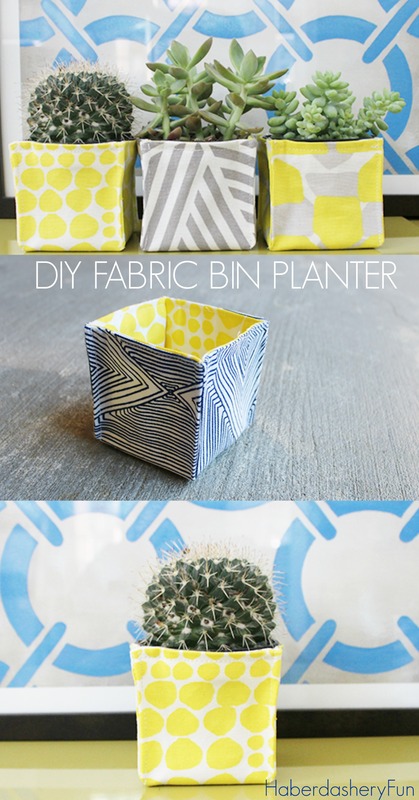 With Mother’s Day just around the corner, I thought I would make fabric bins to hold mini plants that my son and I recently bought. I plan on first using them as center pieces for our Mother’s Day brunch. I then want to give them away as gifts. Perfect right? I’ve had my eye on the Nate Burkus home decor fabric collection at Jo-Ann fabrics for quite some time. I love his bold, modern prints. 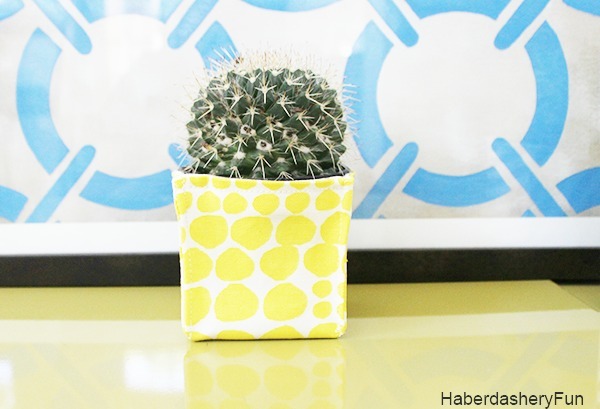 This project needs a heavier fabric, so his fabric collection was right on the mark. 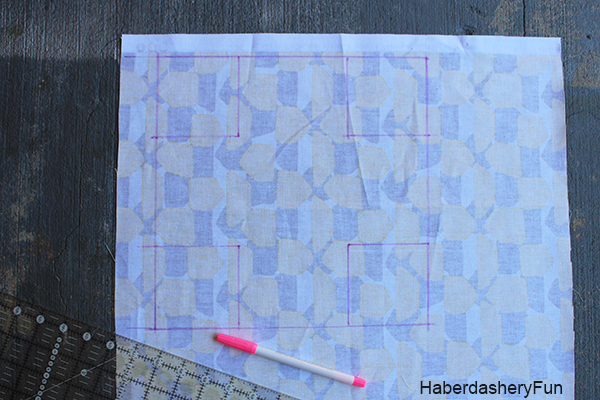 Step 1: Create the pattern – Lay the “outside” fabric face down on your work surface. Use the disappearing pen and draw a square measuring 10 3/4″ x 10 3/4″. At each corner draw squares measuring 3 1/4″. Cut out following the ink lines. The fabric piece should like something like a cross. Now lay the fabric down on the “lining” fabric. Pin in place and cut out another. 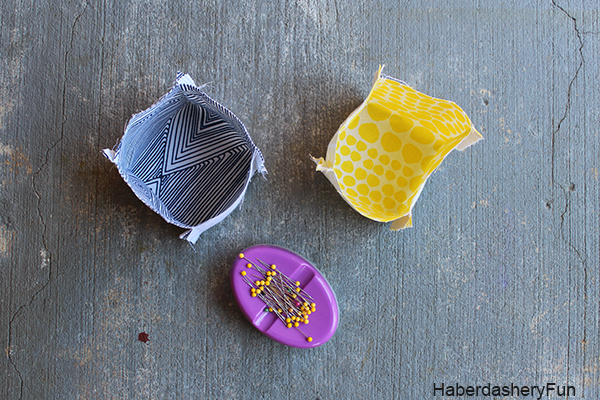 Note – if you plan to make multiple fabric bins, trace off a pattern at this step. 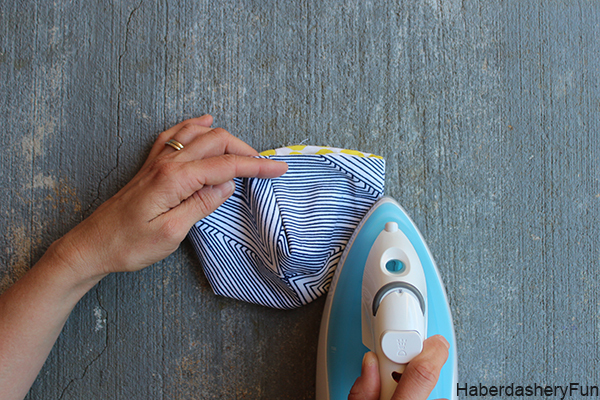 Step 2: Sew the outside bin – Match the sides of each square at one corner. Pin. 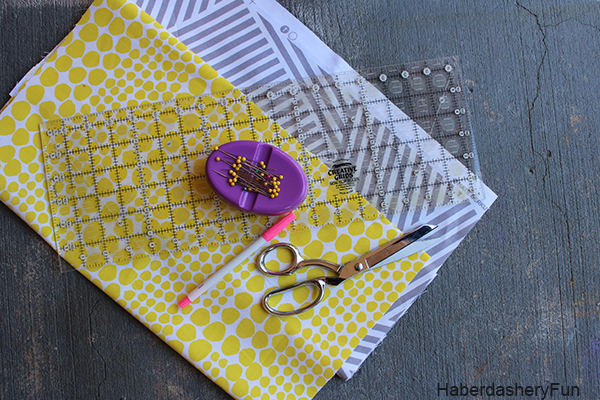 Place into your sewing machine and stitch with a 1/2″ seam allowance. Repeat for each corner. Press the seams closed facing one direction. Step 3: Repeat step 2 for the lining fabric. Press the seams closed facing the same direction. You now have 2 little bins. Step 4: Turn the outside bin right side facing out. Leave the lining bin, right side facing in. Place the lining bin around the outside bin. Wiggle into place. Match the points of each corner using your finger. Pin at the top edge/at each corner seam. 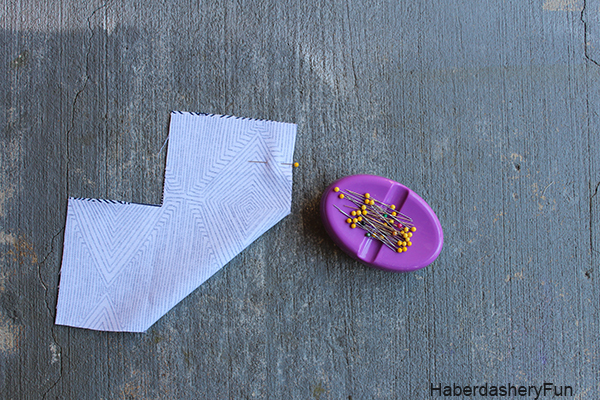 Place into your sewing machine and stitch along the top edge. Leave a small opening. Step 5: Turn right side out – pull the bins through the opening. Wiggle the lining bin into the outside bin. Match at each corner. Press the seam along the top edge. 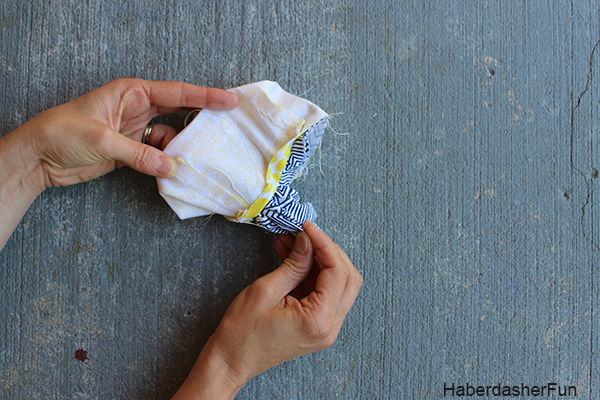 Also fold each side seam onto each other and press the seam in place. Pin the small opening closed. Top stitch along the top edge. 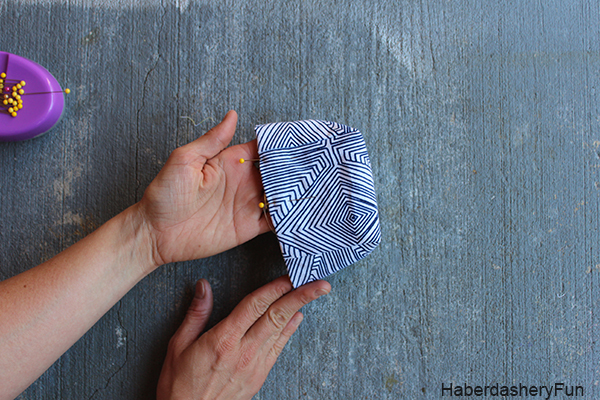 Step 6: Fold along one side seam. Finger press the seam to sit flat. 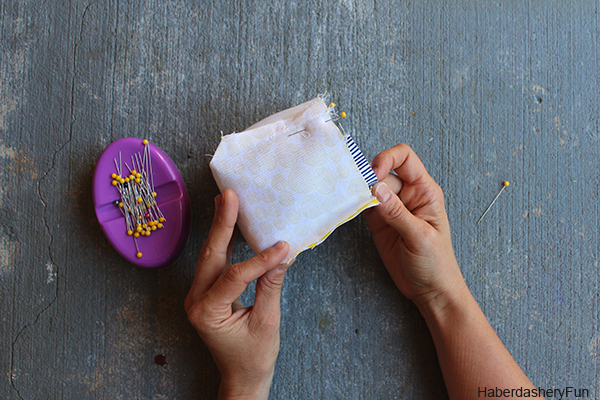 Place into your sewing machine and edge stitch from the top to the bottom. Backstitch. Repeat for each corner. That’s it – adorable, right? Perfect for plants and other stuff too. Wouldn’t these be great all over the house? Disclaimer.. They are so cute you may have a hard time actually giving them away! If you would like to see more of my projects – Come on over and follow me on Pinterest, Twitter, Facebook and Instagram. What is size of finished planter?